Virgil Abloh’s Off-White collaborations with Nike has set a DIY, reconstructed trend that I am really enjoying. Artist Nathan Bell puts his spin this trend with his Nike Zoom Pegasus 35 collaboration. 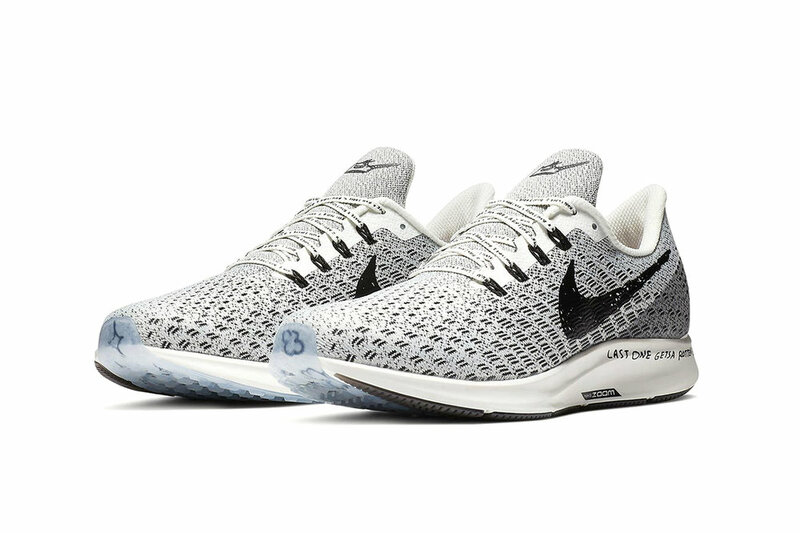 This Oreo colorway of the Zoom Pegasus 35 features doodles of stars, crowns, unicorn horns and more on the midsole, heel cup, insole, outsole, tongue and laces. Also featured are hand written style quotes on the midsole stating “Last one gets a rotten egg” and “Run to a magical place”. A marker pen type sketch of the Nike Swoosh can also be found on this running sneaker. 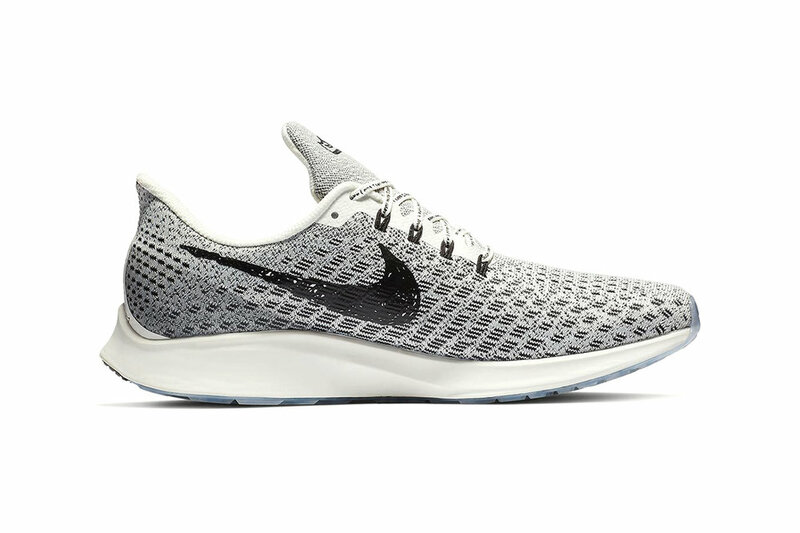 Take a look at the Nike Zoom Pegasus 35 in the photo gallery above and let us know how you feel about this sneaker in the comments below. The Nike Zoom Pegasus 35 will be available on February 14 at Nike and select retailers worldwide. Older Post Air Jordan 1 Retro High OG "Neutral Grey"